The nonprofit organization, Samaritan Healthcare & Hospice, is welcoming Sharon Colgate of Haddonfield. 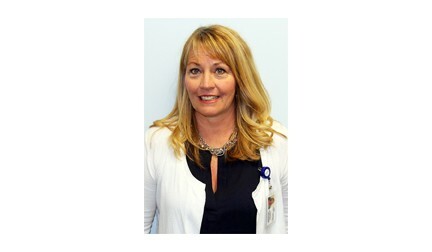 Sharon Colgate of Haddonfield has joined Samaritan Healthcare & Hospice as a nurse practitioner for the Marlton-based not-for-profit organization. Colgate will join four other nurse practitioners and five hospice/palliative physicians at Palliative Medical Partners — Samaritan’s medical practice. She will consult with patients on palliative care, pain and symptom management. She will also consult on follow-up care in the office, in their homes or residential facilities, in local hospitals and in Samaritan’s inpatient hospice centers. Colgate continues to work part-time as a nurse practitioner at Advocare Voorhees Family Medicine. Prior to joining Samaritan, she has also worked as a registered nurse at Pennsylvania Hospital and Thomas Jefferson University Hospital and for Underwood Memorial Hospital. Colgate earned a master of science degree and a bachelor of science degree in nursing from Thomas Jefferson University in Philadelphia. A member of the American Association of Nurse Practitioners and the American Nurse Association, Colgate has several licenses and certifications in both New Jersey and Pennsylvania.